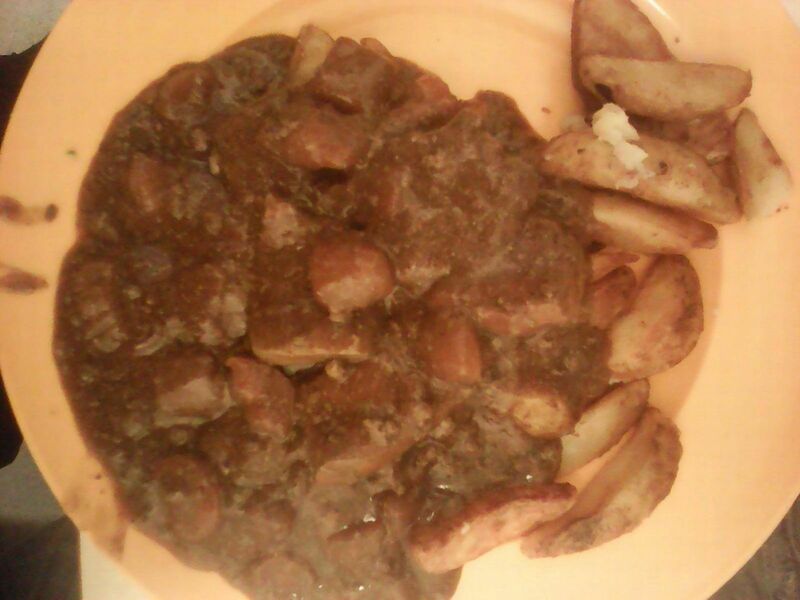 An inmate at a category C prison has shared photos of the meals he gets served, saying they are ‘worse than dog food’ and he’d ‘rather starve’ than eat them. 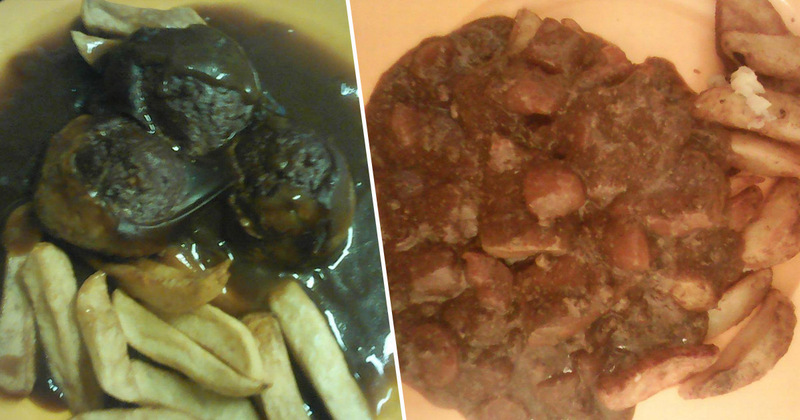 The inmate, from HMP Risley in Warrington, shared the images of the typical meals served by the prison in an effort to raise awareness of the poor quality of food prisoners are being provided. 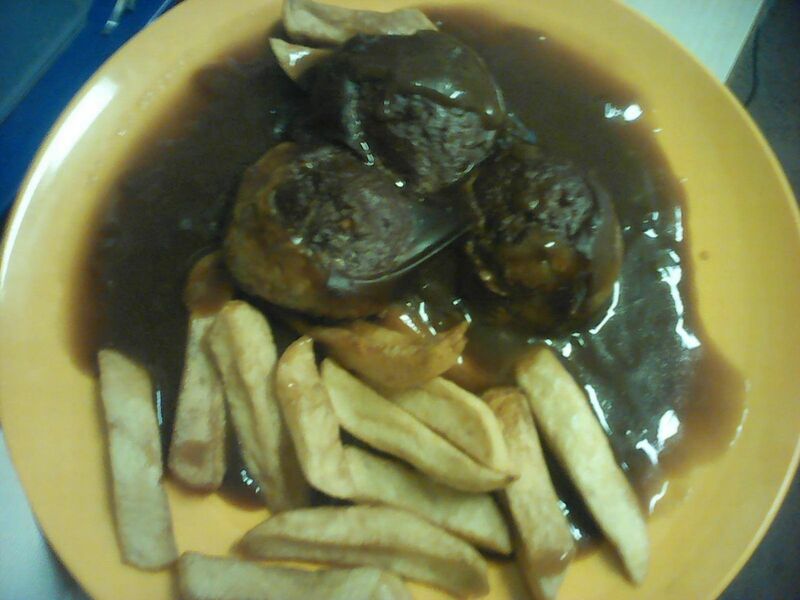 Just a few examples of the meals sent by the inmate were baked beans on pasta with (I think) chicken burgers; fish, chips and gravy; and something else smothered in gravy, with a side of chips in gravy. 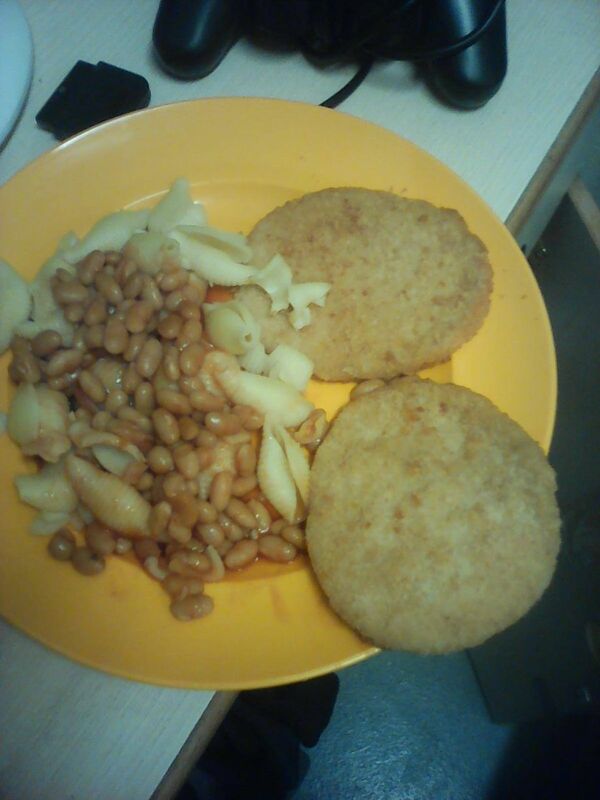 For people of a certain age though, and speaking from experience, I’ve had school meals that don’t look dissimilar to this. I’m sure they’d go down well on Rate My Plate, too. The photos were forwarded to the Ministry of Justice, where a spokesman replied saying that all meals provided to those behind bars meet the nutritional guidelines. All prisoners are offered fruit and vegetables as part of three healthy meals a day, which meet nutritional guidelines set out by the Food Standards Agency and the Department of Health. We are investigating these pictures and any prisoner found using a mobile can face extra time behind bars. There was a reasonable choice of meals and the food we sampled was good. Lunch and dinner were selected from a four-week rolling menu with a reasonable variety of healthy options, including portions of fruit and vegetables every day. The quality of food that we sampled was reasonable but, in our survey, only a quarter of respondents said that the food was good. In the same year, it was reported that food in prisons was so bad it was causing prisoners to become violent. In some cases, inmates were returning to their cells to eat their food because of staffing shortages or ‘an absence of dining facilities in communal areas’. Many inmates would then ‘sit on their toilet as a seat to eat’, which is ‘degrading and totally unhygenic’, according to the report.